The Creta chair stacks and is finished in a rather charming turtle dove colour. 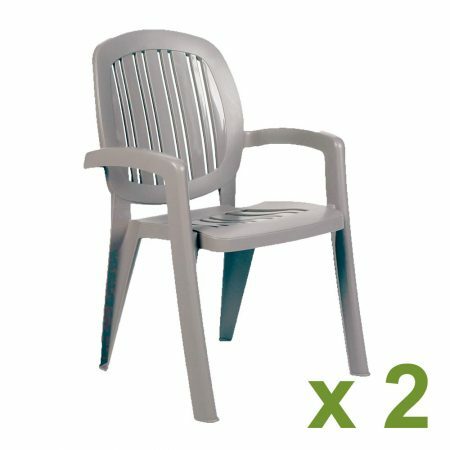 These chairs can be stacked and are weather resistant. A pack of 2 Creta chair stacks soft grey “turtle dove” colour. Made of high quality fully recyclable resin the chair can withstand all the weather can throw at them.